The following is a guest post from Stefanie O’Connell of The Broke and the Beautiful Life. We’re fond of Stefanie’s blog. In fact, she’s been one of our Money Masters. Visit her site and sign up for her RSS feed. If you’re interested in doing a guest post on Debt Free Guys™, email us at Debt Free Guys™ at Gmail dot com or click the “Contact” tab at the top right of this page. As a vegetarian, I hear a lot of “I could NEVER give up meat”. While some people are being knowingly overdramatic in their declaration, others really believe it; they can’t fathom their world without animal protein. I have to admit, when I first made the switch, I was somewhat skeptical; would I really be able to commit to a veg-only lifestyle all day, every day, even during my marathon training? But, three years and a full marathon later, I gotta say, it’s been surprisingly simple. I often think about what gives people that NEVER mentality; some deep seated conviction or misconception that closes them off to the mere idea of something so much that they hesitate to even entertain the thought. I recently had an article published on MSN Money in which I suggested having a roommate as an easy, practical way to cut costs. Now I know the idea of having a roommate as a young professional or thirty something isn’t the sexiest lifestyle in the world, but from the comments I got on that post, you would think I was suggesting inviting a known criminal to sleep in your bed. I understand that grown adults having a roommate in certain parts of the country is not as common as it is where I live in NYC (where it’s practically a requirement for monetary survival), but this total aversion to even considering the thought truly caught me off guard. After all, splitting your rent (or mortgage), utilities, and other basic living staples like internet, can save you hundreds EACH month. Is an extra thousand dollars to your name each year not even worth considering? I also see people use NEVER as a way to justify their “vice” spending. I could NEVER give up my Starbucks or I could NEVER pass on my weekly manicure. I don’t suggest that these “justifiers” completely cut out those things that are clearly such an integral part of their day to day joy, but I do ask them to reconsider their NEVER point of view. Rather than defaulting to impossibility, perhaps there could be a consideration of moderation or alternatives, especially if the financial impact is becoming a problem. For instance, like most people, I need to look put together for work, and frankly, it’s nice to look nice. But I don’t exactly have room in my budget for hair cuts and colors every six weeks, mani/pedis every two weeks, and name brand clothing and make up. Instead, I live off of free samples, cheap substitutes, beauty school haircuts, and DIY nails. Cutting back on personal care doesn’t mean I have to totally give up pride in my appearance, it just means moving beyond NEVER to consider ways of getting the same result for less. So whatever you say NEVER to, I challenge you to think critically about it. First, is NEVER costing you? Second, is NEVER serving you? And third, what are your NEVER alternatives and how might those serve you better? 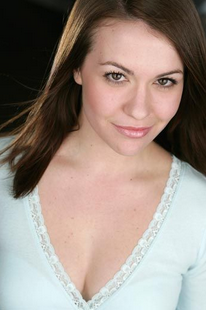 Stefanie is a professional actress and freelance writer living in New York City. She chronicles her struggle to “live the dream” on a starving artists’ budget at thebrokeandbeautifullife.com. We live in an 2 bedroom 1000 sq ft condo and found a roommate who only needed to live here 2 weeks out of the month. He paid for nearly half the cost of our mortgage for almost a year. It was a great way for us to invest back into our place.